Can’t blame someone—or something—for trying to get a piece of Blake Lively. Taking some time off from medical school, Nancy Adams (Blake Lively) goes on a getaway of sorts to clear her mind from a recent tragedy. Her destination is a nameless beach that her mother surfed on, and Nancy intends to do the same. Catching a few good waves but wanting to catch one more great one before calling it a day, she stays out alone in an effort to do so. Immediately upon seeing the carcass of a large whale, Nancy crashes and is submerged underwater, and before she makes it back to the surface, a great white shark takes a bite out of her leg. Stranded on a rock 200 yards from shore, losing blood quick, and with no help to speak of, Nancy’s in a bad way, to put it mildly. There’s Jaws, and there’s everything else when concerning shark movies. Nothing can ever top Spielberg’s classic, which might be why, aside from Open Water, we’ve seen so many goofy shark movies that SyFy seems to love. If you can’t top it, make it so different in tone that no comparisons can be made. But, so many intentionally bad entries into that subgenre make those types of movies played out now. As such, they make a movie like The Shallows, so obviously inspired by Spielberg’s vision, somewhat of a revelation. At 87 minutes, director Jaume Collet-Serra’s (Run All Night, Non-Stop) latest is straigtforward, compact, and no frills. Thrills, however? Those exist in bunches. All things considered, Serra gets right to it and hardly ever lets up once he does. 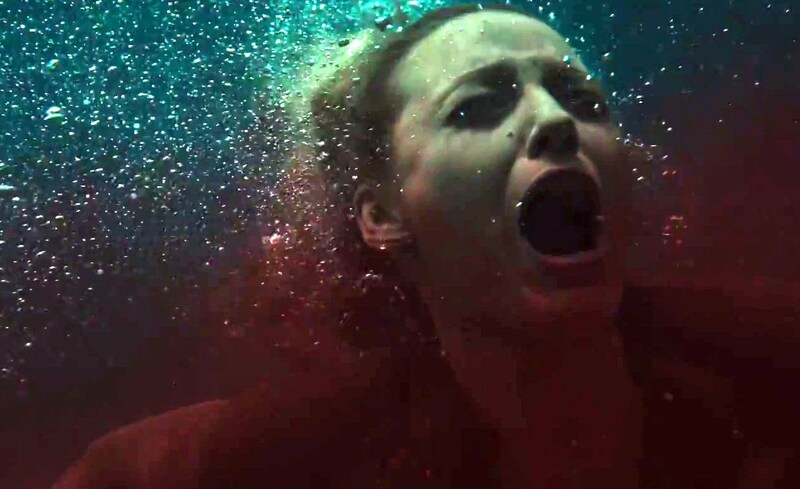 The danger that Nancy faces not just in the water, but outside of it, is palpable. Not a first-person style film (but focusing on a single person, predominantly), nevertheless, The Shallows is extremely immersive, quite possibly the most immersive feature yours truly has seen all year in a theater. That absolutely adds to the unnerving-at-times experience in a way I’m not sure watching this on home media would. The keyword is lean, though. Which is fine, but it has to be acknowledged. There’s a family component that Serra injects, but it does little to register. It comes off as a little forced, perhaps because of the way many of these moments are displayed. Much of the film’s “backstory” comes via phone and videochat, and I actually found that to be a little distracting as opposed to emotionally endearing. The thrilling effect would be the same whether Nancy was doing this to honor someone, or doing it just to have a little vacation. Speaking of forced, the last few minutes feel so, as there’s a end song that won’t win any awards for subtlety. Blake Lively’s work as Nancy Adams is pretty impressive. She seems to be coming into her own as a reliable presence in Hollywood, and her work here is worthy of praise. A much more physical performance than a wordy one, the audience is right there with Nancy as she tentatively steps into the water, loses blood, or is forced to stitch herself up. She’s in distress but not a damsel. In a win when it comes to slasher movies, Nancy always has the audience support as opposed to wanting to see the monster win because the character(s) deserve their demises. This is undoubtedly her movie, no other human comes close to making an imprint, or rather, they aren’t allowed to. After Lively, the biggest contributors are a seagull affectionately named “Steven Seagull” that she plays off of, and of course, the great white who only shows himself when needed. It’s 2016, not 1975, which means that The Shallows will not have the impact that Jaws had in straying people away from the water. 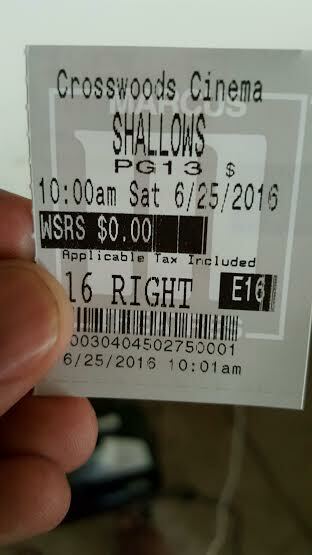 But that doesn’t mean that The Shallows is a viewing experience that falls short. No shame at all being the second best shark movie of all time. Photo credits go to Youtube.com, nydailynews.com, and moviepilot.com. I still remember my younger sis watching Gossip Girl. If you would have told me when that show got going that Lively would carry her own movie one day and be great doing so, wouldn’t have believed it. She is very good here. Just a tight, lean, 87 minute thriller. Seeing this Friday. Really excited for it. Loved the trailer and the way it lures you into its idea. I really was surprised at the immersion, Keith. Can’t wait to read your thoughts. Solid survival thriller here, and Lively does a good job. Movie should’ve been one minute shorter though. Did you not like the ending either? Felt it was way too corny with that choice of song. Agreed. Yeah I think they had a better final shot a bit earlier. With The Shallows, The Purge: Election Day and Conjuring 2, low-budget horror is carving a nice little niche for itself this summer. Only one I missed is The Conjuring 2. Without seeing that, the two I have seen in my opinion, have been sound summer thrillers, with The Shallows being more tighter, more streamlined and less “ambitious” than Election Year.